The attractive, cosmopolitan city of Malaga lies on a beautiful bay in Andalucia. Blessed with bright sunshine and a spectacular quality of light, Malaga is a city of wide boulevards, swaying palm trees, lively nightlife, good museums and excellent seafood to enjoy in restaurants. Malaga in Spain is the beautiful ancient city rich in culture and faces glittering waters of the Mediterranean Sea and quite close to other popular cities like Marbella, Granada, Seville and Cordoba. Malaga city is the capital of the Province of Malaga in Andalusia, Spain. The city located on the Costa del Sol welcomes thousands of tourists mostly British, German or Danish. Car rental in Malaga is great idea to enjoy the real beauty of city at your pace. Malaga with its affluent cultural heritage and vibrant past has interesting historical remains in the city and in the vicinity testify to a grand past. The beautiful beaches on the Costa del Sol add the scenic beauty of the entire province. The wild and romantic chains of mountains and the many small, whitewashed, picturesque villages offer great time to spend here. Malaga is full of outstanding monuments. From a Roman amphitheater of the 3rd Century, a Muslim stronghold of the 11th Century to a beautiful cathedral from the 16th century, where once was situated a great mosque. As in Granada, in the city can be seen the traces of Islamic culture, with the advantage that Malaga is located right on the beach. In addition, the city can offer all art lovers the newly opened Picasso Museum. Malaga is the birthplace of the famous artist and you can discover here the roots of Picasso. Parts of the Alcazaba, a fortress from the 11th Century built by the Moors, are now rehabilitated, including walkways, walls, gardens and water gardens. Those who want a quieter holiday can head from Malaga towards Nerja / Motril. In the Axarquia – how this part of the province of Malaga is called – there is also tourism, but in no way comparable with the area near Torremolinos or Marbella. The further east, the Costa Tropical (Granada) is not as crowded as the western part of Málaga. 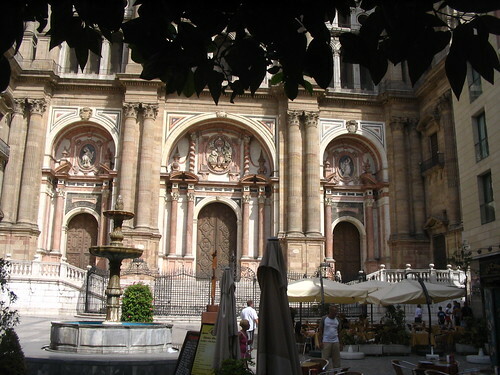 Malaga is one of the many Spanish cities, which is worth visiting. The city with its kind people and most charming localities offer excellent holiday place to enjoy. Food and drink are not only very good but also very cheap. The city is found with well preserved old buildings. There are little bars on every street corner that invites you to enjoy a glass of wine or some tapas. Visit Malaga in Spain and treat yourself with a Mediterranean cruise, discover all the exquisite dinning, beaches and mixtures of cultures that the Mediterranean has to offer. Get a car hire Spain to ride around and get enchanted by the beauty and art of the country. You can surf the web for days to find the best Greece holidays, or you can check out the expert travel agent’s nifty Greece travel guide for advice. Previous PostPrevious Thinking Of Taking a Vacation In Mesmerizing Manila?